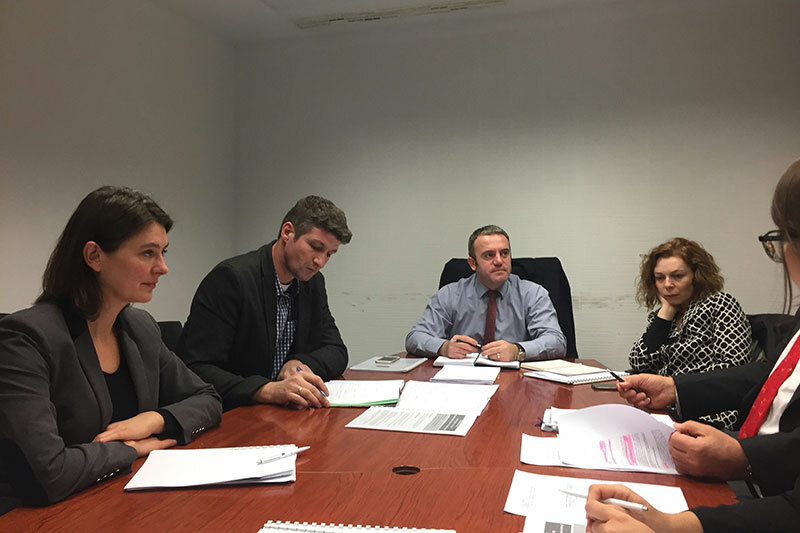 The first Steering Committee Meeting (SCM) for the EU funded twinning project “Strengthening policy formulation and legislative drafting” was held at the Kosovan Ministry of Justice in mid February 2017. 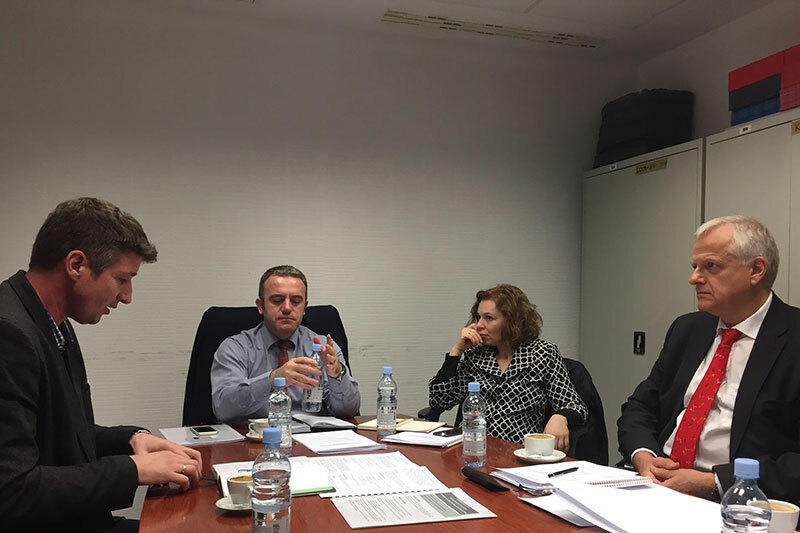 The existing cooperation and future objectives were discussed at the meeting. Attending the SCM were Kosovan, German and EU project managers, as well as employees of the IRZ and of the Kosovan Ministry of Justice. During the meeting, positive comments were made in particular about the opening event held in November 2016 and the contributions already made by German experts from the judiciary in Pristina. The potential for more effective cooperation between project managers and all the institutions involved in the project was also discussed. These meetings take place at the end of each project quarter. They serve not only to ensure that project objectives are reached and thereby guarantee the ongoing implementation of the project, but also to improve coordination between the parties involved.